Before a system can be developed, detailed requirements must be gathered. The Kerr Company uses a functional requirements gathering approach that combines people, process, requirements and system to system interface information all in one comprehensive approach. The Kerr Company has provided support to system development teams by performing tasks such as reviewing design documents for completeness and adherence to standards, validating development activities are appropriately reflected on the project schedule, etc. The Kerr Company has written test and evaluation master plans, written and performed test scripts, assessed the testing efforts of other contractors and tracked test defects. 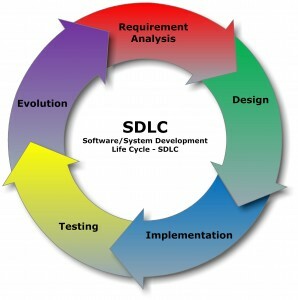 Many SDLC methodologies require document deliverables. The Kerr Company has written SDLC deliverable templates, written SDLC deliverables and evaluated SDLC documents written by other contractors. Once a system is in production, changes may be identified to fix the system or increase its functionality. IT departments need to have sound and documented processes in place to manage these system changes. The Kerr Company has provided support such as, recommending Change Control Board (CCB) structures and developing IT change request processes for system fixes and enhancements.